My Fair Lady is the classic stage musical based on George Bernard Shaw's book Pygmalion. 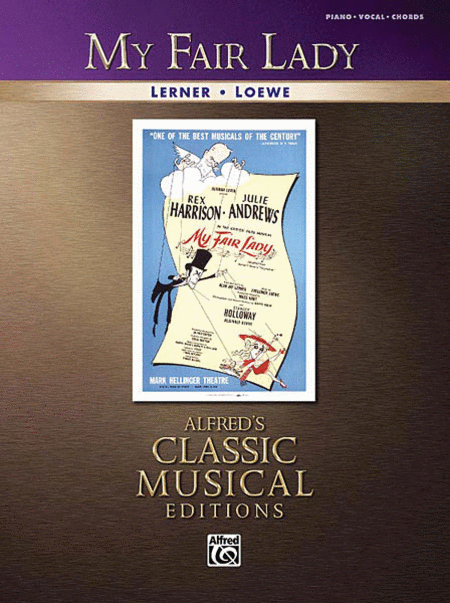 The musical was later adapted for film, and the movie, starring Rex Harrison and Audrey Hepburn, was released in 1964. This book features selections from the musical, providing the lyrics along with piano and chord arrangements for all the songs included. Songs include: Get Me to the Church on Time - I Could Have Danced All Night - I'm an Ordinary Man - I've Grown Accustomed to Her Face - Just You Wait - On the Street Where You Live - The Rain in Spain - Show Me - Why Can't the English? - With a Little Bit of Luck - Without You - Wouldn't It Be Loverly.